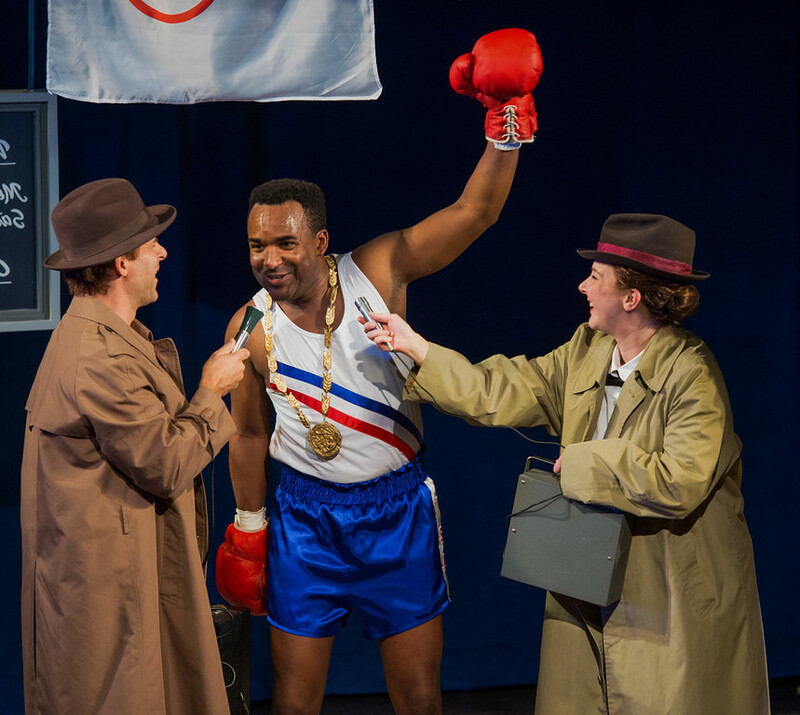 Teaching about racism and violence is never easy; and through the boxing legend’s story, the fight of the decades is brought into the spotlight, on the stage of Seattle Children’s Theatre. Wanting to become a boxer like his idol, Sugar Ray Robinson, Cassius trains determinedly despite the sacrifices he has to make to his grades, friendships, and family. It is because deep down he knows his potentials – at age 13, Cassius makes his TV debut “Tomorrow’s Champions,” and wins the fight beautifully under the witness of the audience in Louisville, Kentucky. By the time he is 18 years old, he is already a gold medal-winner. Cassius’ passion for boxing, admittedly, makes him a great boxer in the ring; but the courage he takes to overcome the obstacles makes him a good fighter in life. In addition to being America’s most significant sports figure, Mohammad Ali was also an activist and philanthropist throughout his adult years. 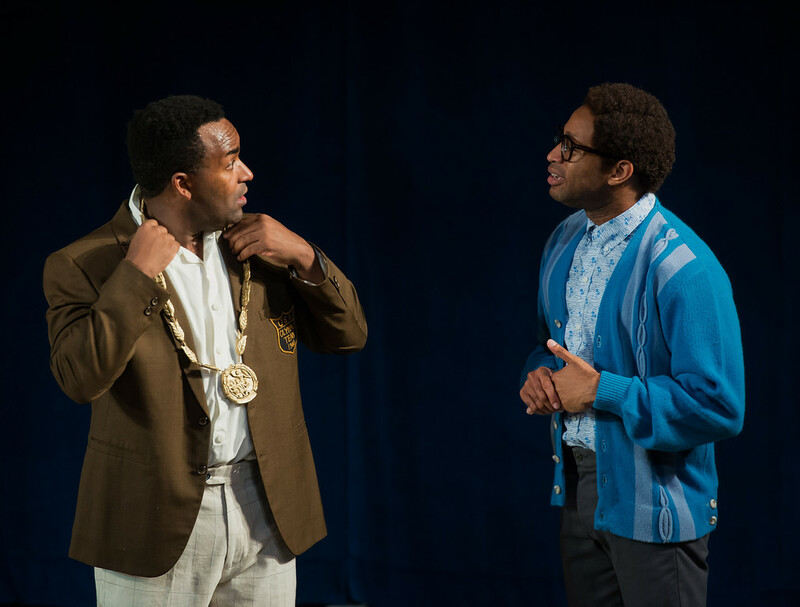 In this well-structured story, playwright Idris Goodwin highlights Ali’s green years and channels strong messages about racism and violent to the audiences. This story isn’t about a fighter, it is about which type of fighter one longs to be. After the victorious battle in “Tomorrow’s Champions,” Cassius trains to represent himself, his family, Lousiville, and the United States in the 1960 Rome Olympics. Meanwhile, Cassius’ friend Eddie joins sit-ins and protests for Civil Rights after Emmett Till’s horrific murder. As much as Cassius is expected to use his influence to strive the movement of racial justice, winning his own fight seems to be the top priority. He thinks, more or less, the glory he takes home as a black world champion will end racism. At the Olympics’ final match, the epic battle between Cassius and the three-time European champion Zbigniew Pietrzykowski is keeping the audiences on the edge of their seats. Right before the bell rings, Cassius throws a left punch; and in this split second, this once-nobody is now the focus of the world. Standing in the media’s spotlights, Cassius is asked about the racial relations in America. Instead of speaking out the truth, this rising star tries to stay away from the politics. This marks a crucial historical moment of this boxing legend who is later on awakened by the contrast between the reality and his fantasy. Standing in the media’s spotlights, Cassius is asked about the racial relations in America. He proudly returns to his town and expects a warm welcome from everybody. It is not until then he realizes being a champion boxer doesn’t subvert the racism in America. He walks into a “white’s only” restaurant, hoping his frame can conquer the discrimination, only to be rejected one more time. This little experiment of his prepares him onto the career as a professional boxer, but this time he is more resolute and relentless to fight for himself and the people who can’t. The awakening of Cassius comes down to how one lives his/her true self. Eddie and Cassius are two distinct characters who contend with their own motives, and the differences between them complete the theme of the story. Eddie’s moral decision is driven by empathy whereas Cassius’ is driven by his desire for approval (at least at the beginning). Cassius fantasizes about being invited to a white’s family dinner when he is younger, and even when he returns from the Olympics, he wants to be accepted and approved by not only his race but also by the white community. In the end, the question for Cassius is, which one is his true self – an ignorance star who only cares about himself or a hero who cares about the others? Eddie and Cassius are two distinct characters who contend with their own motives, and the differences between them complete the theme of the story. Besides the plot, the reasons why this production is successful include the cast, the music, the language, and the stage setting. 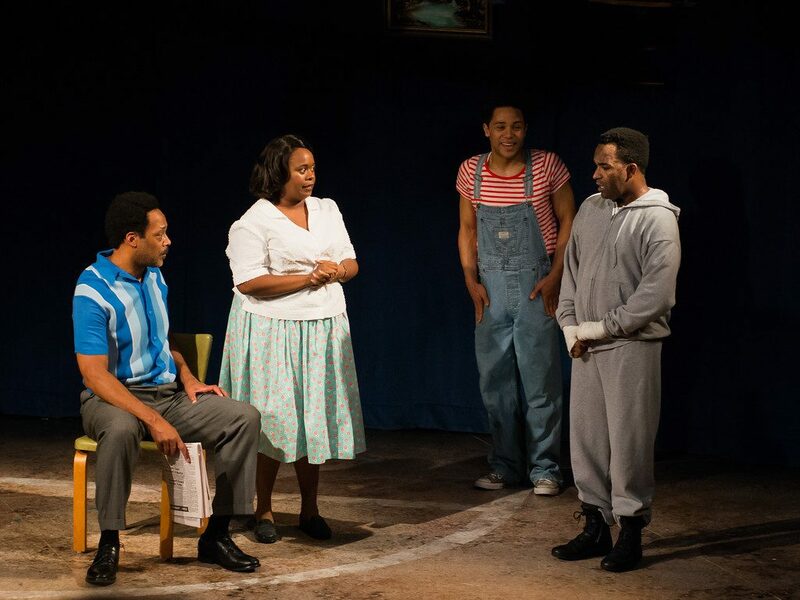 Andre G. Brown, who portrays Cassius Clay, is a recent MFA graduate of the UW’s School of Drama. He showcases the capability of delivering poetic lines that require a strong sense of rhythm and beat. While the music elements are abundant in this production, Brown depicts his character vividly in songs and languages with the help of other talented casts. Also, the productions’ spectacle is effective and creative – it helps to boost audiences’ imagination while the story is being told on stage. “And in This Corner: Cassius Clay” captures only a small part of racism that still occurs nowadays. However, like Charles Leggett, who plays Joe Martin, said on the opening night and I agree, theatre is a perfect platform to start these conversations with the young audiences. It’s never easy to teach racism and violence such heavy topics to kids. What makes this production brilliant and amazing is that – it is entertaining enough to keep the crows laughing, but then, it is also severe enough to teach us a valuable lesson.